Okay, so this isn’t technically a featured organization, but it’s an event for an organization that’s feature-worthy! The Potomac Nationals will be partnering with the American Cancer Society to bring you “Pink in the Park” on Saturday, August 25th at 6:35pm right here in Woodbridge, Virginia. Tickets are only $8 and HALF of each ticket will go towards the Making Strides Walk. For everyone that wears Pink to the game (not a problem if you have my wardrobe!) 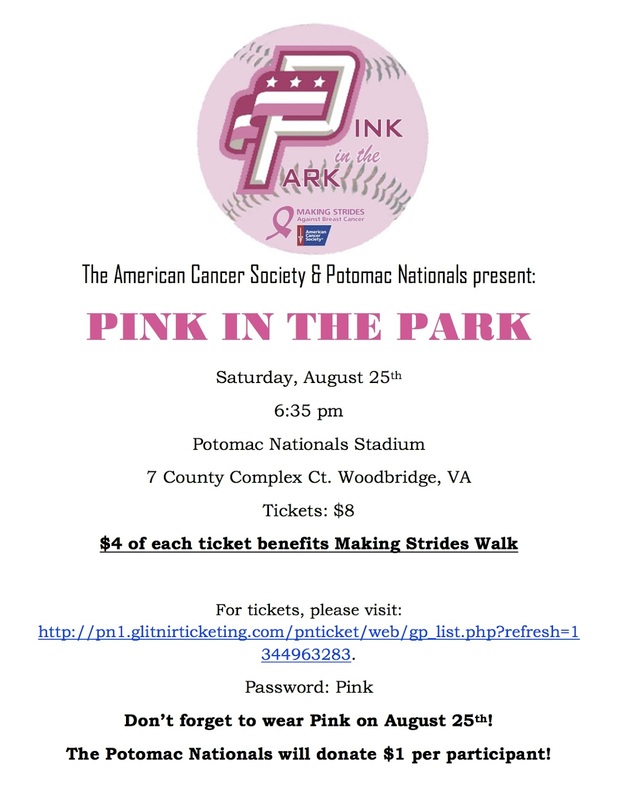 the Potomac Nationals have pledged an additional $1 donation.